Beards are hands down one of the most masculine traits a man can possess. 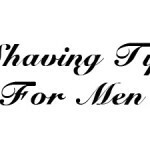 However, equally masculine is the ability to shave properly and be well kept. Neck beards are one in particular that is best off being clean kept. The ability to properly shave one is an essential trait to have on the road to man hood. The task can initially be daunting. 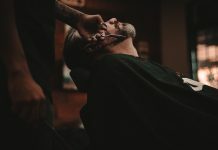 But don't worry; with these easy to execute and simple steps, we'll teach you how to shave neck beard that'll have women swooning over your masculine facial hair from all over the place. 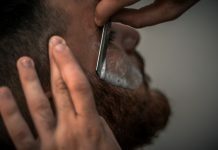 As you've started your journey on how to shave neck beard, we'll make sure you're prepared for every step you'll encounter. A neck beard is typically defined as the area below your jaw all the way to your shirt. Some people may not initially realize they have a neck beard until it's already full grown and grisly. A razor (either a blade or multi-blade cartridge razor). 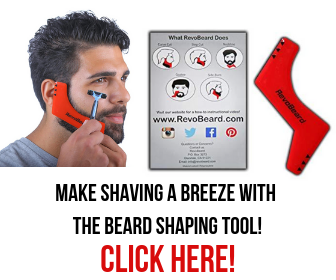 With all of these items assembled, you should now plan where you will shave and map out the different directions your hairs grow in on your neck. To plan where to shave, look straight into the mirror and envision an imaginary line that lies between where your jaw and neck meet. It's recommended to place your finger directly above your Adam's apple and shave everything down from there. Shaving directly under your chin doesn't matter too much since it won't be very visible, but it's all personal preference. Now, mapping the "grain" of your neck beard will take a little more time. The neck is a fascinating body part. The hair that grows there will equally grow in diverse and strange patterns. Thus, to get the cleanest shave possible, it's recommended to "map out" the different patterns of your beard using this nifty map. 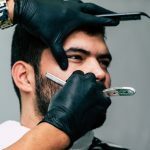 By splitting your beard up into several sections like this, you can tackle the different patterns individually and get the best shave possible. After amassing all your materials and properly mapping the grain in your beard, it's time to begin the actual shaving process. To start off, similar to shaving just a regular beard, you should apply a warm towel to your neck and add shaving cream to prepare the skin. By doing this, you nullify the risk of ingrown hairs. Additionally, you can use pre-shave oil to help reduce irritation. 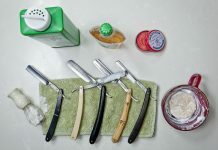 However, this step isn't really necessary and most people just avoid pre-shave oil entirely. If you do decide to use it, wet your face, apply the oil, and then apply the shaving cream like normal. 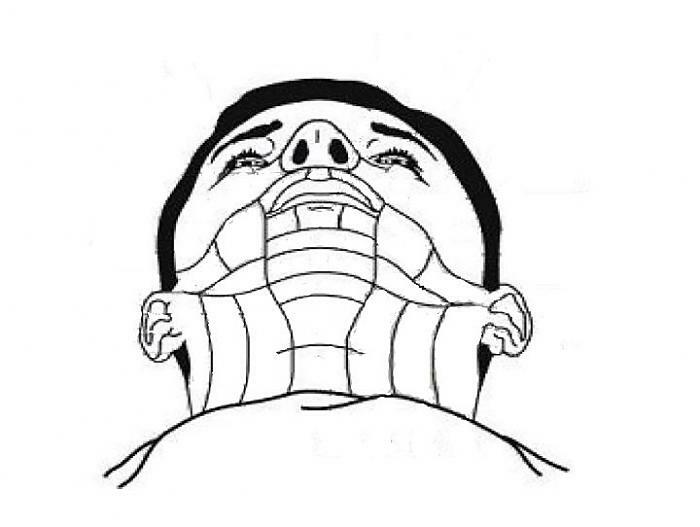 Now that your face is prepped and ready to shave, we will teach you properly how to shave neck beard. 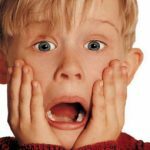 It's recommended to use cold water when shaving with the razor because it can reduce irritation, however it's not entirely necessary. Now, you'll want to put your razor on the imaginary line that we marked earlier roughly above your Adam's apple. Begin shaving down towards your shirt. 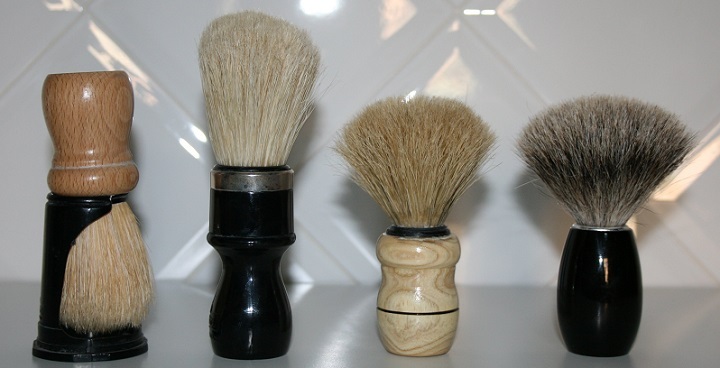 It's important to go with the grain of your hairs, as this will give you the best shave possible. Using the grain map we created earlier, slowly and carefully begin to shave with the grain in each of these individual areas. This takes some time to find the patterns in each section and shave each individually, however it's worth it. 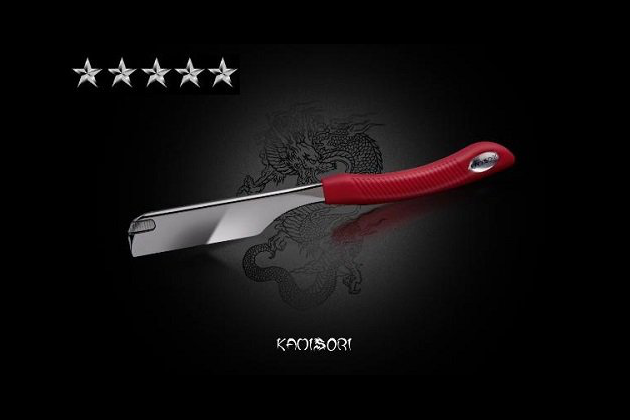 It will give you a much cleaner looking shave as well as preventing a patchy beard. If you're going for a masculine, macho look, try creating a sharp angle when you finish trimming the neck beard. This look puts emphasis on your jawline. For a more subtle look, gently round off the edge of the hairline to give your face an appearance of more depth. Now that your neck beard is nicely tamed with a good looking edge, you're ready to add on the finishing touches. After shaving, make sure to clean the neck area using warm water to prevent ingrown hairs and reduce irritation. After cleaning, proceed to apply any aftershave product of your choice. Your neck beard will inevitably grow back, so it's important to maintain it while you have it. Do this by applying shampoo and conditioner to ensure it stays soft, fresh, and clean. If you're not quite satisfied with how your neck beard turned out, don't fret. It takes a lot of practice and experience to get your neck beard consistently looking good. If you feel like you missed some spots, there are several helpful tips that can benefit you. 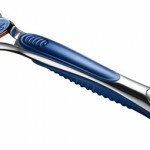 Firstly, don't put any pressure on the razor when shaving. Also try to flatten the skin when shaving rather than stretching it. 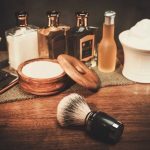 There are also advanced shaving techniques you can implement to ensure you are nicely shaven. Play the video below for more information. 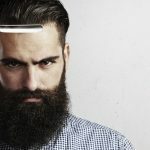 Beards are ultimately a fashion staple for many men in today's society; being able to properly maintain one is necessary. 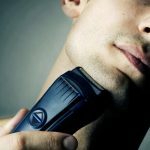 Many people dread having to learn how to shave neck beard; we hope our tutorial and tips on how to shave neck beard have helped you improve your confidence and experience with shaving. Please feel free to implement these tips into your shaving routine, for we're guaranteed you'll experience a much cleaner shave. Previous articleWhat Goes Into a Good Shaving Bowl? 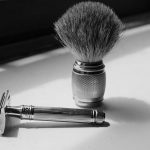 Next articleWhy Pick Personna Blades For Your Safety Razor?